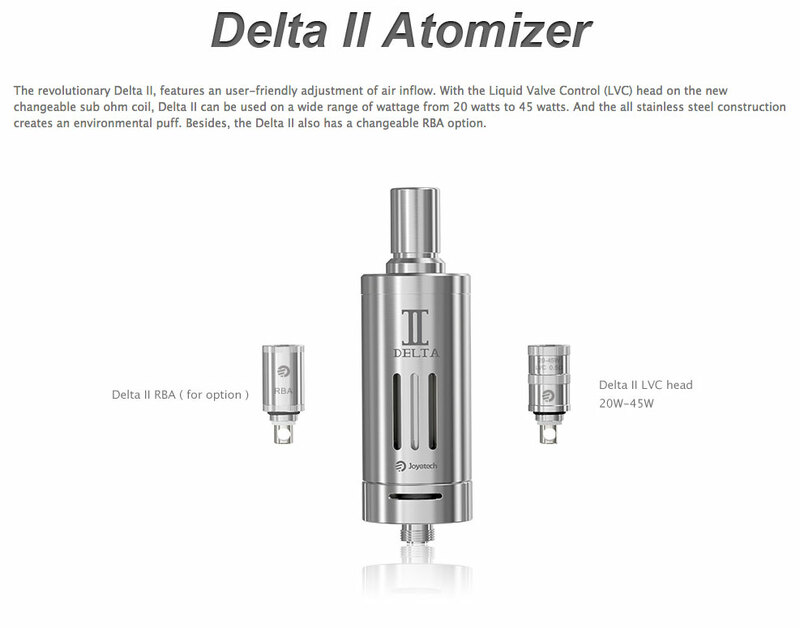 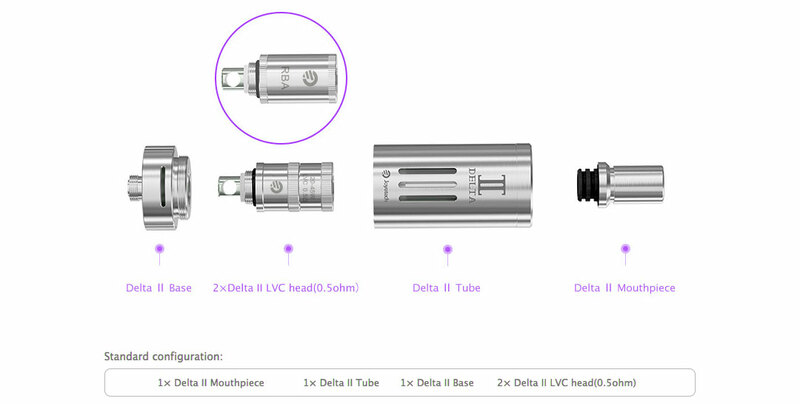 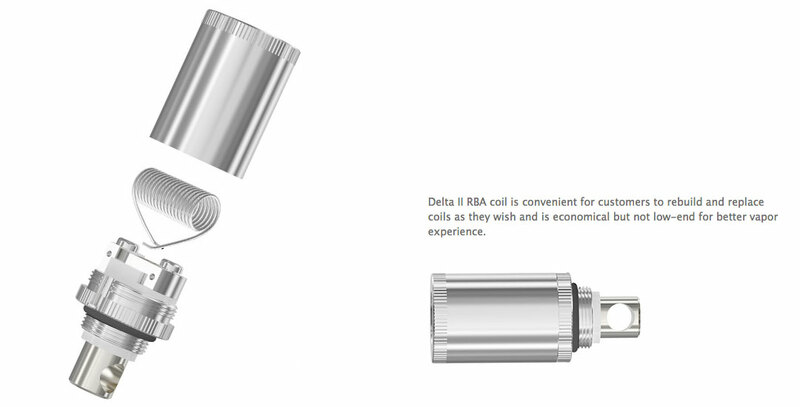 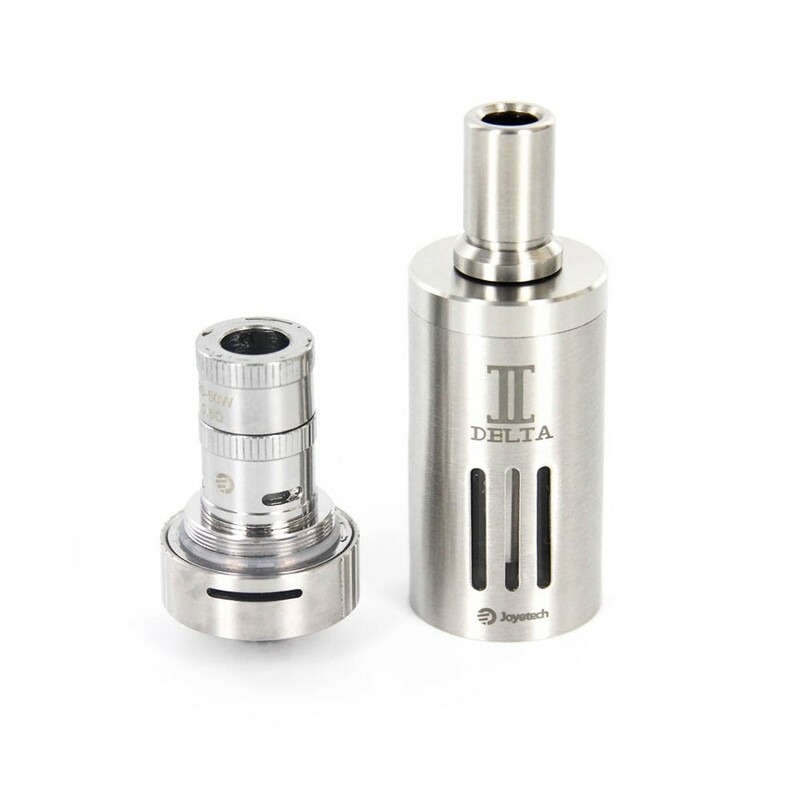 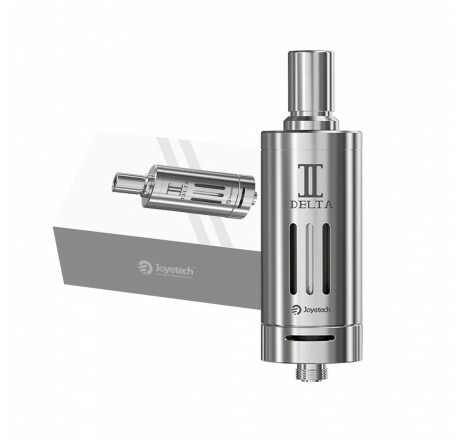 Introducing the Delta II by Joyetech. 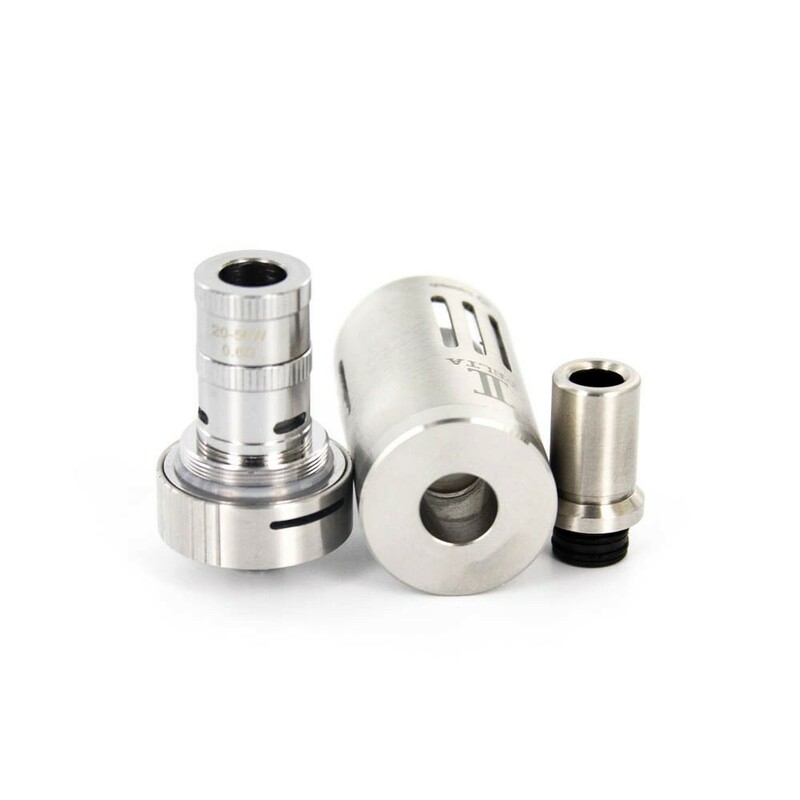 Featuring a new coil head design that allows for juice control allowing the user to open or close the punched out holes for wicking. 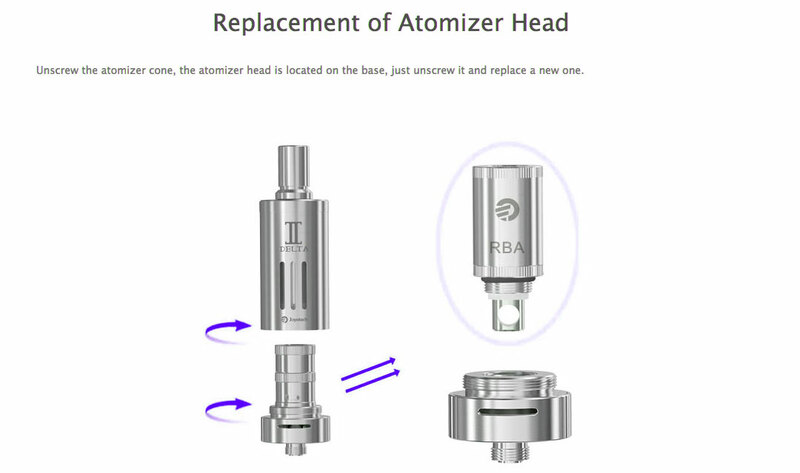 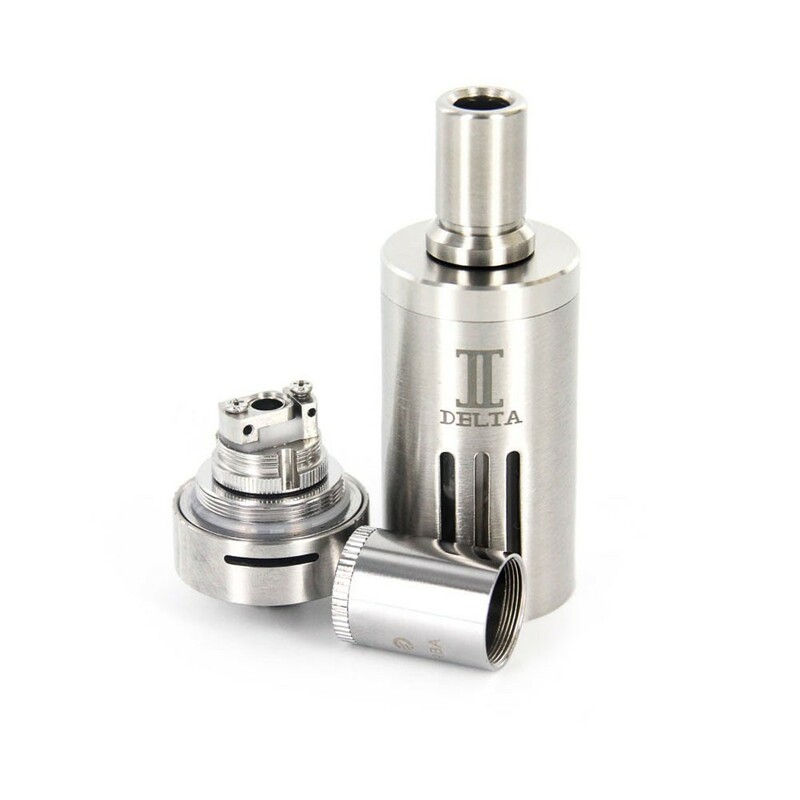 You are also given the option to remove the stock coil heads and install an RBA base for improved flavor and vapor production. 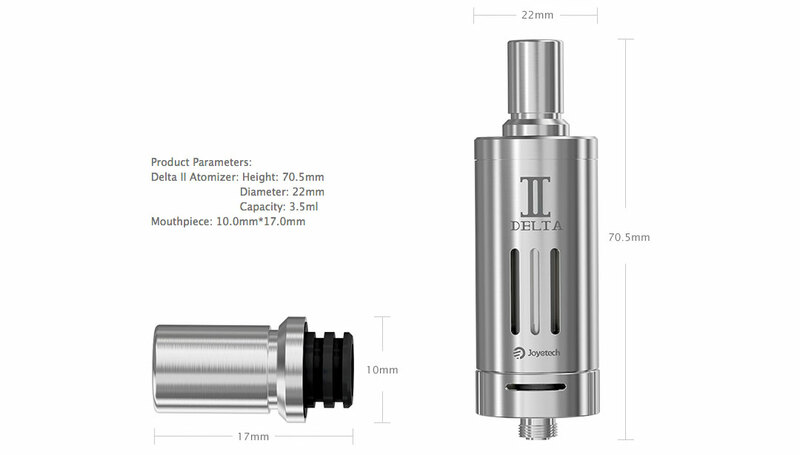 Adjustable airflow is controlled at the base of the tank by just spinning the AFC (Airflow Control) ring. 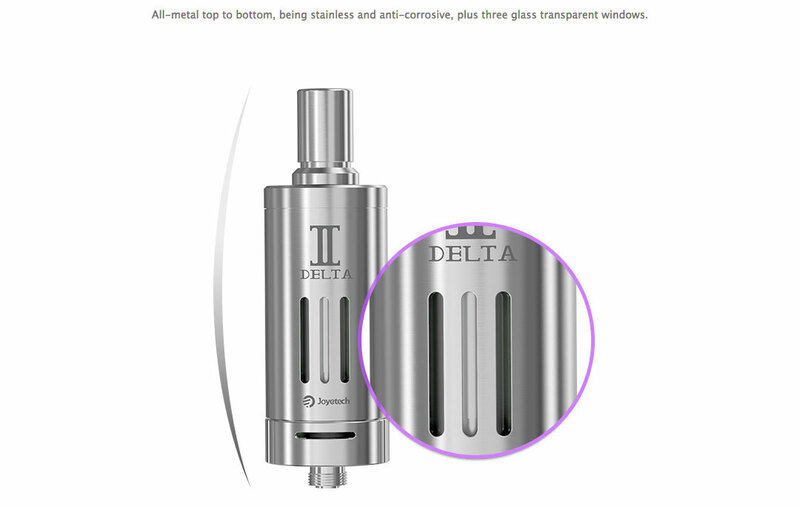 Constructed from stainless steel with glass window inserts makes this device sleek and sturdy.